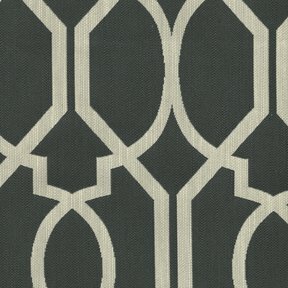 The product photo above is a 10 inch square section of Refinery Dolphin upholstery fabric. Refinery is a woven texture boasting a modern design made up of stipe creating clean lines with two sharply contrasting colors. Refinery can be used for pillows or to upholster chairs, ottomans, headboards and more.